Infographics Maker – Templates 3.3 – Visualization graphics for Pages. Next story Metasequoia 4.6.8 – Design three-dimensional model. Previous story Grabber 1.6 – Screenshot Master. 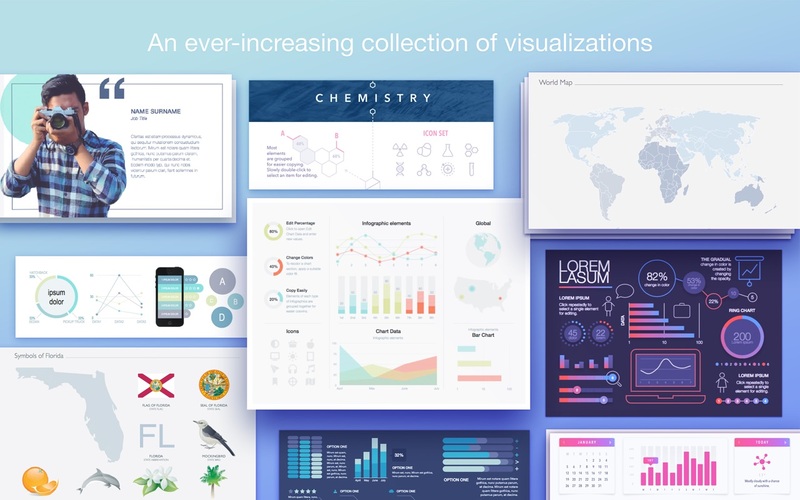 Infographics Maker 3.2.4 – Visualization graphics for Pages (was Infographics Lab for Pages).